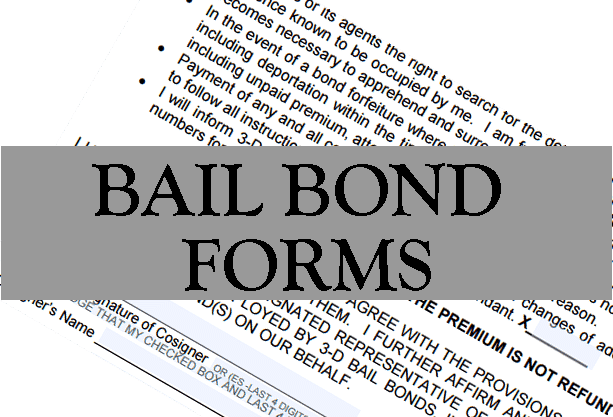 Bail Bond Forms for 3-D Bail Bonds, Inc.
3-D Bail Bonds created an online alternative for customers who need to submit fully completed bail bond forms electronically. We care about your personal information, that’s why we treat all sensitive information as such with secure encryption and with the highest level of confidentiality. 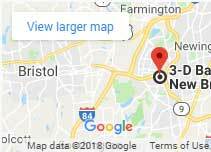 “Connecticut bail bonds” is regulated by the Department of Insurance. As a licensed bail company in Connecticut, we are required to have paperwork completed prior to the posting of a bail bond along with signatures. Sometimes family members are unable to rush down to the police department for several reasons so the electronic submission of paperwork accelerates the process and consequently the release of your loved one. 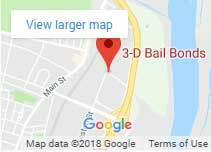 The links below have our legal 3-D Bail Bond forms. You can download it, complete it fully, and submit it directly by email, or print it and fax it to us. Customers can also print all forms and bring it to meet the bail bondsman. 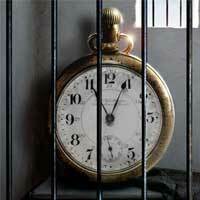 3-D Bail Bonds will protect your privacy and not share your private information with anyone. You can have confidence that we will keep your personal data from ending up in the wrong hands. Our robust security measures are state of the art and we are constantly working to keep on the cutting edge of security. Rest assured, we do not take this lightly. All paperwork that we receive will be filed with your loved ones’ confidential file and access will be restricted to only those with the highest of clearance at the company. If you wish to use our paperwork and desire our services please contact us before sending us any documents so we will be watching for your submissions. This will allow for our attention to be on you and your loved ones in a timely manner.